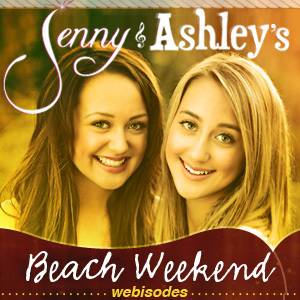 Roughstock Exclusive: Jenny & Ashley's Beach Weekend Webisodes #2: Beach Day! Jenny & Ashley shared their experience in Vegas with us last week and in this week's webisode, they take a break from school to go to the beach but they go do another fun activity first. Take a peek at this EXCLUSIVE look into the world of Jenny & Ashley! Jenny & Ashley shared their experience in Vegas with us last week, now this week they take a break from school to go to the beach. Enjoy this Exclusive webisode and then take a look at the first webisode and the new music video for their single "Beach Weekend" by following the links below. Click Here To Enter Week #2 Contest To Win The Jenny & Ashley EP!